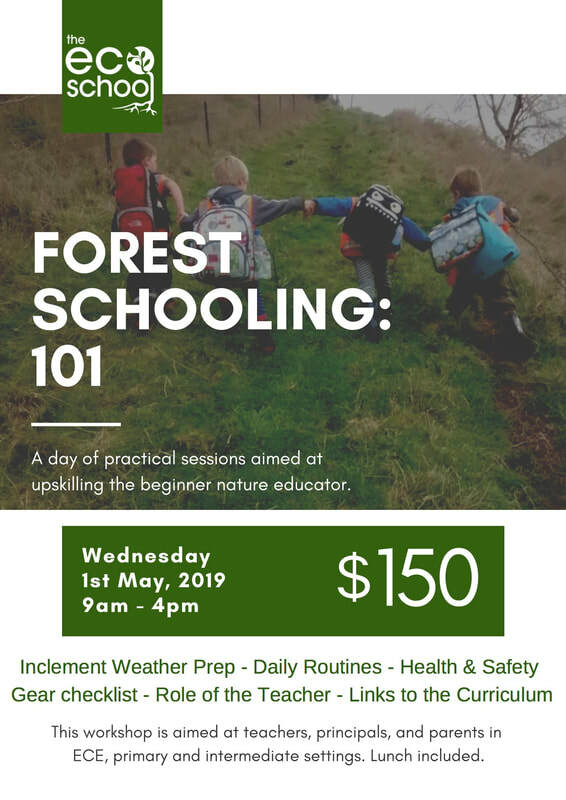 Learn about forest schooling at one of the premier locations on the North Island. A workshop designed for people wanting to start their forest schooling journey. Learn the basics of how we run our program, including tips and tricks on gear, inclement weather prep, and daily routines. Learn what you need to think about when starting your own program or how to incorporate nature play into your school day. Just $150 with lunch included. ​Our 5 ha permaculture farm provides the backdrop for our forest school programs. We have been running holiday programs, preschool programs, and integrated primary school programs for three years. ​Our range of experience allows us to answer any questions you might have about making nature play in your community. The perfect professional development to support your forest school journey.